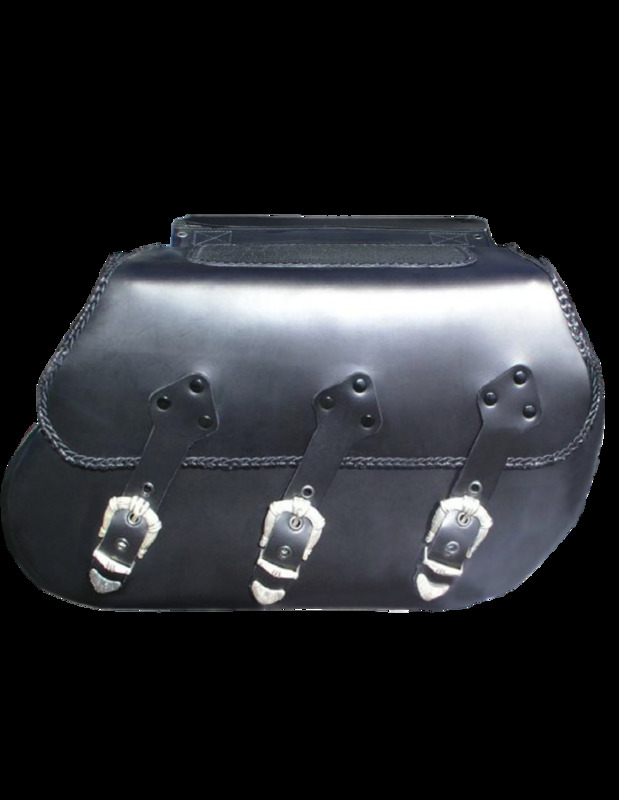 Saddlebags Custom Corsair. With leather decoration, simile crocodile, on the lid. With leather decoration, simile crocodile, on the lid. Decorative braiding in flap and lid. It has reinforcement in the back, in the band, and in the front, to avoid deformations. This product can be customized according to your preferences. Vary the measure and the color. Include the drawing, name or photograph you want. Embroidery, or laser engraving, depending on your tastes.